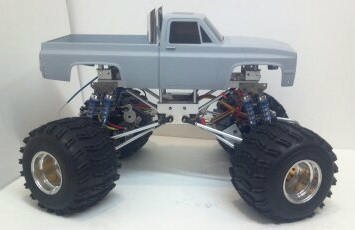 RcStacks.com specializes in making aluminum smoke stack sets and other custom scale parts for your RC. These stacks are built and polished to look like full size after market exhaust systems. 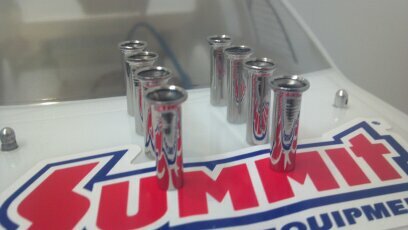 If you drive a Duramax or Cummins Diesel or just love stacks these are for you. Message us to post your hobby photos and check back with us often to see whats new. The pipes found at RcStacks work with virtually any model. Monster trucks, short course trucks, scale crawlers, rock racers, truggies, buggies, boats, snow cats, or any other vehicle you can bolt stacks to. If you drive a Tamiya, Kyosho, Losi, HPI, Axial, Traxxas, Associated, MRC, CEN, DuraTrax, or Thunder Tiger model we have parts for you. Our products work great on any monster truck and often find their way to Clodbuster, Bullhead, Juggernaut, and USA-1 owners. 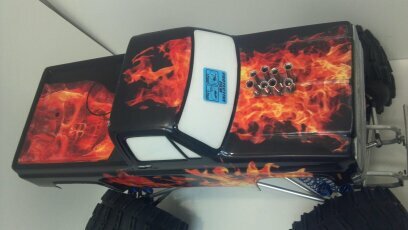 Other models we like to add our stacks to include the HPI Baja 5T, Savage, Kyosho Blizzard, Ford F-350, Toyota Hi Lift, Traxxas Slash, Team Associated MGT, Hilux, Bruiser, and King Hauler. If you are looking for a specific size or type of hop up part just ask! We will do our best to help you with any custom order. Please contact us with your questions, comments, or photos at rcstacksusa@yahoo.com or through the contact form on the About Us page. Real trucks don't have spark plugs! Your truck can look like its Rollin' Coal in no time!